Andesite Ridge Road loops and winds its way into the mountains, climbing to reveal graceful mountain views and, indeed, a more relaxed, peaceful pace of life. 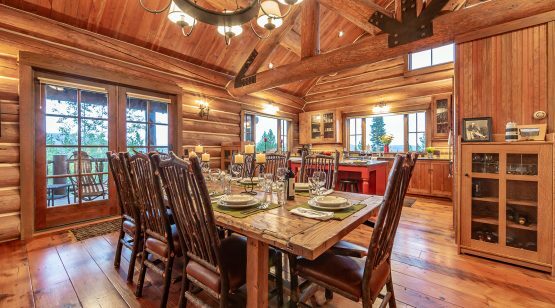 Andesite Ridge 25, perched at a lofty 7,904-foot elevation, is the ideal base for families and friends to gather together in the mountains of Southwest Montana. 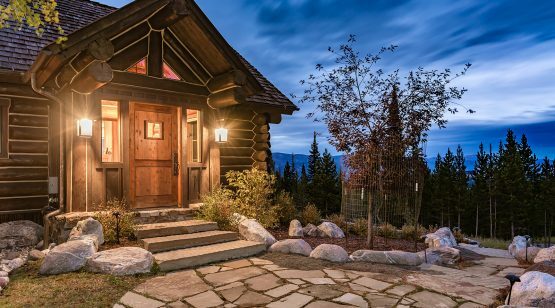 This spacious, lodge-style chalet is perfectly situated on a gentle slope of south- and east-facing land, lightly treed to ensure the perfect mix of privacy and views. 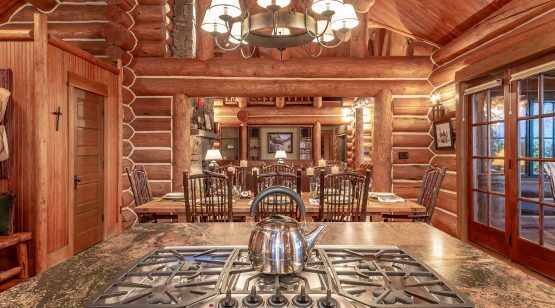 Hand-stacked logs create an authentic western feel, evoking the feel of a personal Old Faithful Inn. 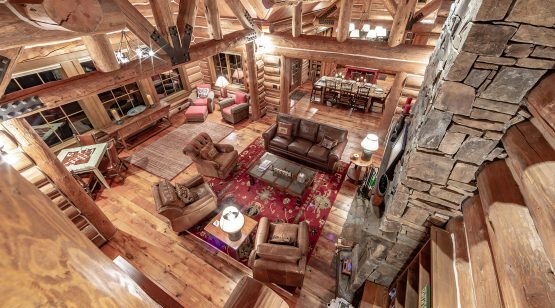 This simply elegant residence comes with all the perks and upgrades that fit perfectly with the Yellowstone Club lifestyle, including, of course, the Club’s famed Private Powder® and world-class access to wintertime recreation. Guests are welcomed into the home via the cozy covered porch and its heavy front door, which opens to reveal an airy, spacious layout. The great room, kitchen, and dining room all flow effortlessly together, creating large environs for entertaining. 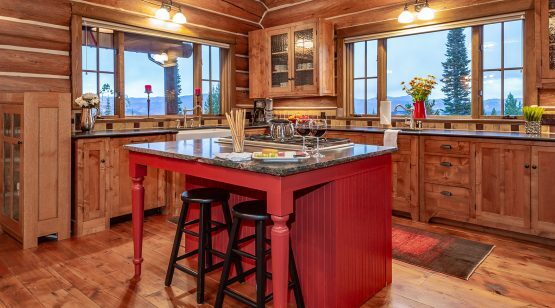 The kitchen features wood cabinetry, a wainscoted island, and large farmhouse sink. The master suite, with its unique circular design, evokes the feel of a forest service lookout, though owners will stay safely on ground level! A second guest bedroom offers its own bathroom, complete with private mountain views. A tucked-away staircase on the main level leads up to a lofted nook in the rafters, perfect for quiet getaways. A second staircase descends to the home’s lower level. Here, additional guest accommodations, a study, and rec room round out the offerings of Andesite Ridge 25. In addition, the side-access garage is located on the lower level, adjacent to the ski storage and with easy access to the upper level. 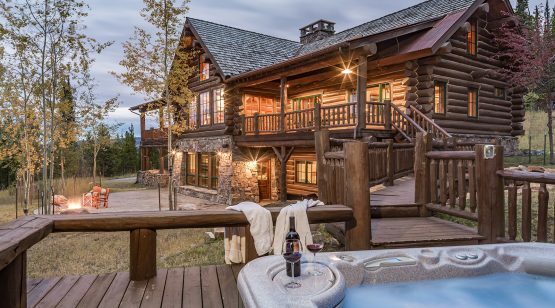 A pathway off the upper deck, evocative of the boardwalks in Yellowstone National Park, leads to the hot tub, the perfect location for an après-ski beverage. Paramount to this home’s design is its connection to the natural world. 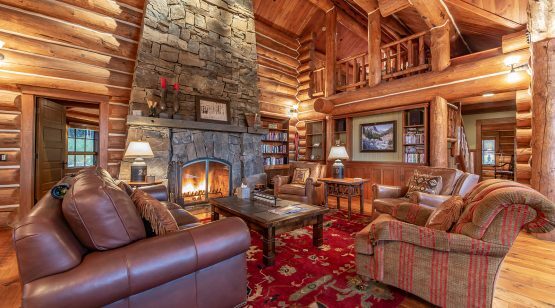 Natural materials abound, from the tapered stone fireplace to the heavy timber beams to the stacked log construction. 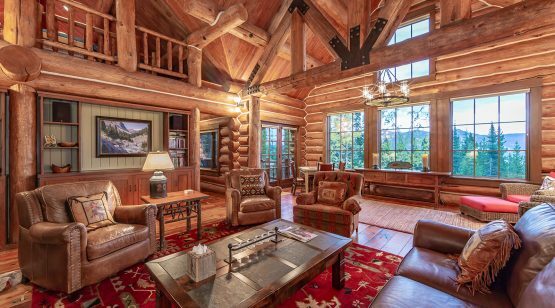 Details throughout the home, like log railings and wagon wheel chandeliers, offer a constant reminder of setting, and lend a sense of permanence to the home. 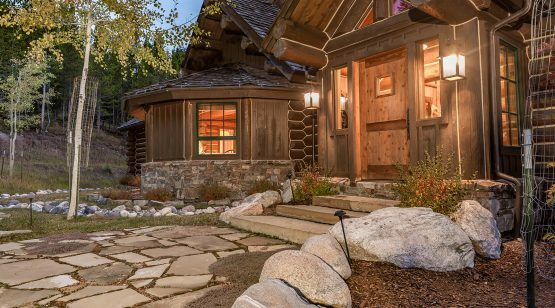 The spacious lot and its bordering open space, root this home in its mountain landscape and capture views in all directions. 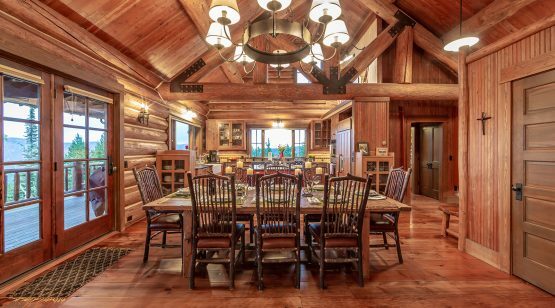 In addition to the boundless amenities of the home itself, the renowned Warren Miller Lodge and Club base area is but a short drive away, offering near-unlimited options for gatherings and recreation. © 2018 Discovery Land Co.